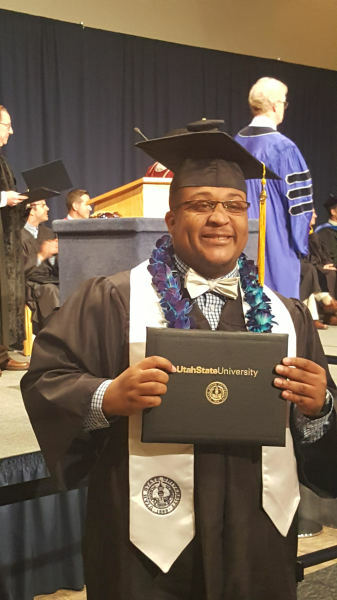 Graduated from Utah (Logan) State University with a BS in Physics. ​Renaissance Youth Movement/Renaissance Parents of Success program has been an extremely helpful and supportive organization for me and the community I grew up in over the years. They have stood by my side since I first attended the program back in 2006 as a freshman in high school until now. I am now a college graduate with a bachelor's degree and will soon attend graduate school for my master's. Throughout my high school years, the wonderful workers have provided me the necessary motivation, nurture, love and support that a young African American male needed growing up. The programs that they've offered have been very fruitful in preparation for college and employment. I wouldn't have been the man that I am today without Renaissance. For that I am forever thankful.